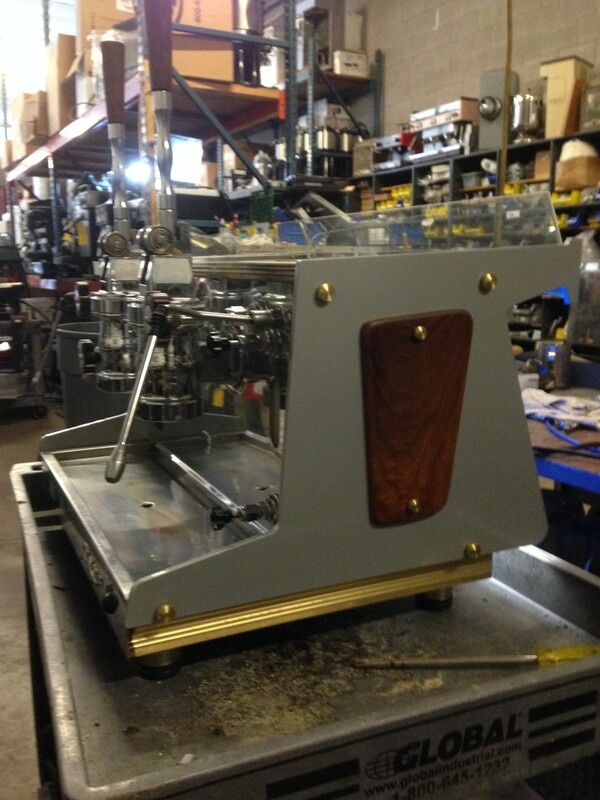 An used espresso machine that is in great shape. Buying a used Espresso Machine. I spend my days working on coffee equipment, and repairing espresso machines, and lately I have noticed a trend; baristas looking to go out on their own, make a name for themselves. Taking a look at their neighborhood, and local community, it occurs to them that this would be a perfect place for a coffee shop with espresso. As with so many local, and community minded entrepreneurs, they go to Craig’s List, or some other social media sales list, looking for a great deal on a used espresso machine. While it seems like a great idea, there are many reasons these used espresso machines end up on the lists, and without really looking at them, it can be extremely difficult to know what it might take to get them up and running again. Bringing these machines to repair shops, with the expectation that the machines can be fixed, and made to work like new again, tends to leave many people disappointed, and out of a lot of cash. Let me give you some free advise, buy from an established repair shop, that has a long service record, are willing to back up their work, or tell you up front as a customer, what to expect from this machine. A good espresso machine is the most important investment for a coffee shop; an entry-level machine that is worth its weight is going to run you $3,000.00 to $5,000.00 used, with a limited warranty from the repair shop. The warranties will last 90 days on average, then you are on your own after that. You will have to pay for parts and service from that point forward, and that is a machine that they fixed and repaired. The one you buy from an individual will have no warranty, of any kind. You can still bring that espresso machine into a repair shop, and ask for a look over, and an estimate, but that time spent on creating the estimate will cost you, too, before any work is done. Time is billed for the bench test, and an hour of their time, you will be told then if you have a machine worth getting fixed or an candidate for the scrape pile. Sadly, many of the used espresso machines I see from Craig’s List, or any other private purchase, end up being scrapped. Bring a multi head screwdriver; you are going to need it to get the panels off. Once the panels are off, look at the boiler to see if it is blown open, or has any evidence of bulging. Boilers are expense to replace, stay away from that machine, to blow a boiler tank, means the machine was abused or it really failed. 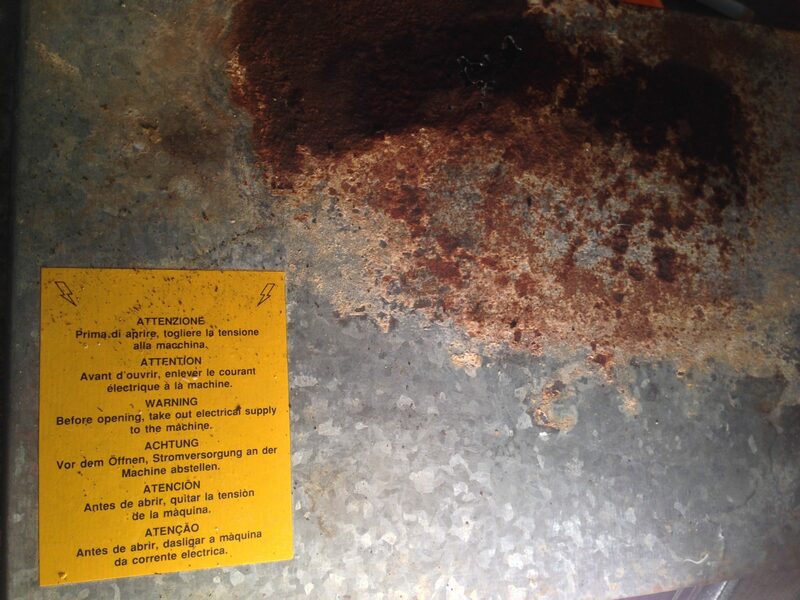 A blown heat exchanger on a boiler, a very bad sign. Next check for rust, if the protective cover for the electrical, and computer area is covered with rust, you have several problems right there. One being a serious leak that may, or may not been fixed, and second, the computer or the electrical has taken on water at some point, and most likely shorted out. Rust on a electrical box. *Remember espresso machines mix together two things that really hate each other; water and electricity. If there is rust or water stains, or a bigger clue the board is black from being scorched, you have a machine that is not going to work, and a new computer board for these machines are not cheap. 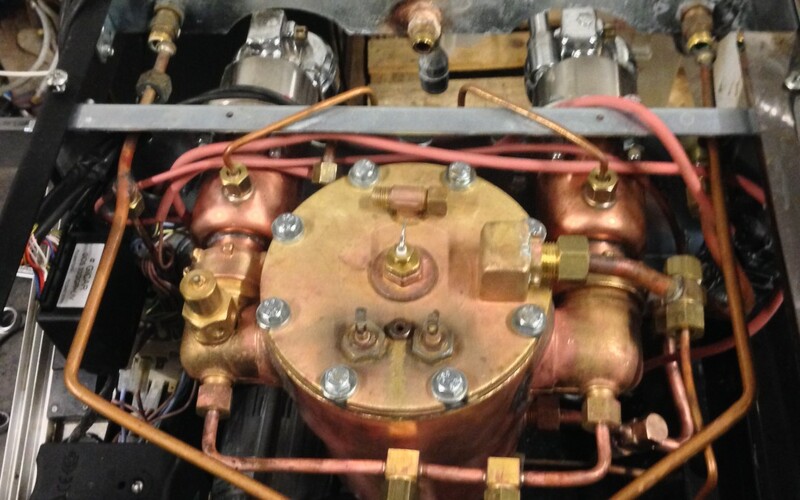 Check the water lines, and copper tubing, make sure there are no kinks, bends, or solder marks. Check the water pump, see if it has any scale in, this can cause the pump to seize up. Water pumps do not come apart easily, and if it does not spin freely when you turn the shaft inside the pump, well, that is another very costly item to replace on your now growing list. 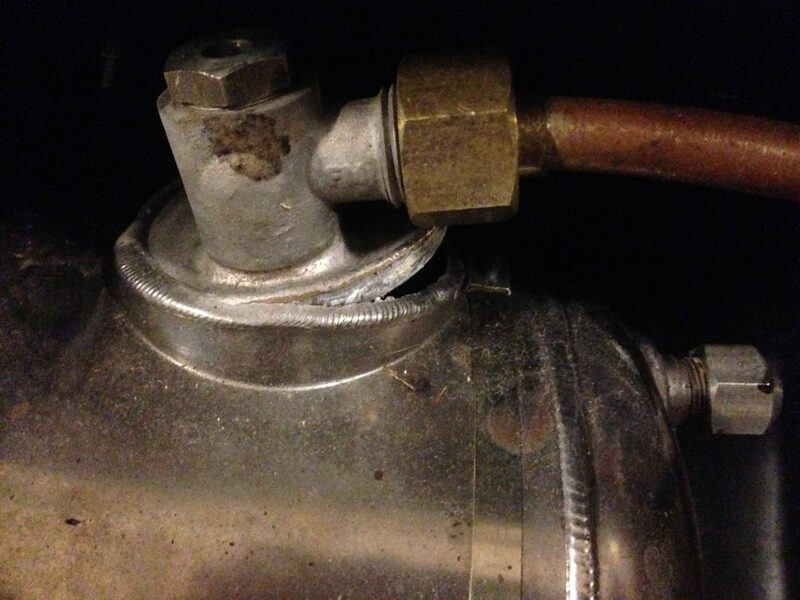 Check the heating element, see if the connectors are blacken from being blown by the heating element inside the boiler tank, or if the contact on the boiler is burnt, this is a sign of a potentially bad heating element, and again, not so cheap to replace. Using these tips, and some common sense, you can quickly see if this used espresso machine is “gem of an machine” is worth buying, or if upon your visual inspection, you discover a deal breaker, an issue will cost you more money to fix than this machine is worth. Don’t get attached to any machine until you know for sure what it is going to do, and what it might cost to get it to do exactly what you want. And lastly, check the company plate on it, this will provide the age of the machine, if it is over 10 years of age, or the plate is missing, stay away from it! More than likely, it will be extremely difficult to find parts for it, because the company has made improvements, and moved on, making this machine obsolete. They simply don’t make parts for it any more, and you will have to rely on used parts for it, if you can find them, and there is no warranty on those parts at all. I hope this helps you on your quest to find the diamond in the rough, while you start down your path to self-employment, and community contribution. You will find a lot of pieces of junk out there and it pays to be savvy when spending that kind of money. I wish only the best of luck for your bold adventures in the New Year, and keep pursuing your dreams!